One of the problems of our era is that most Americans and for that matter most Europeans have no understanding of the human costs of war and the amazing resilience of men and women under fire. 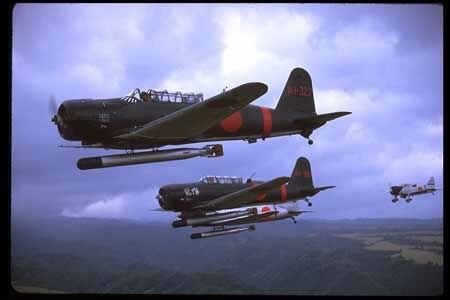 When we do think about war we tend to focus on the machines of war without so much thinking about the people, and the fact is, that people are the single constant in history and war. 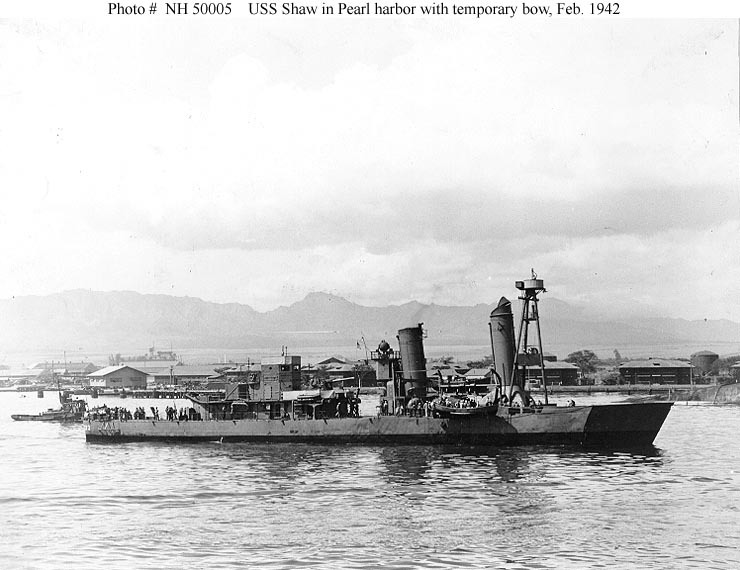 So today, the day after the 75th anniversary of the attack on Pearl Harbor I am re-posting an article I wrote a couple of years back. That my friends is true about all of our wars, including the undeclared wars that we have been fighting for the fifteen years. With that said, it is time to remember. We have to do that. 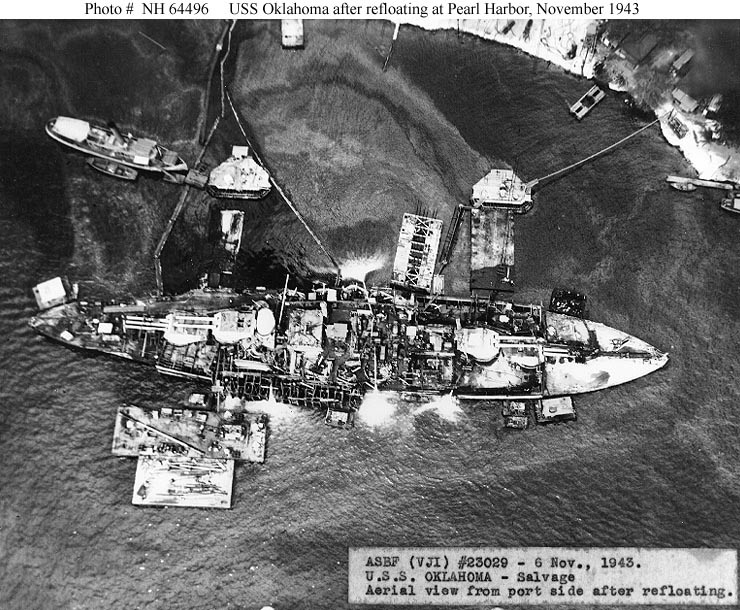 On the morning of December 7th 1941 aircraft from the Japanese First Air Fleet attacked the United States Pacific Fleet as it lay at anchor at Pearl Harbor. 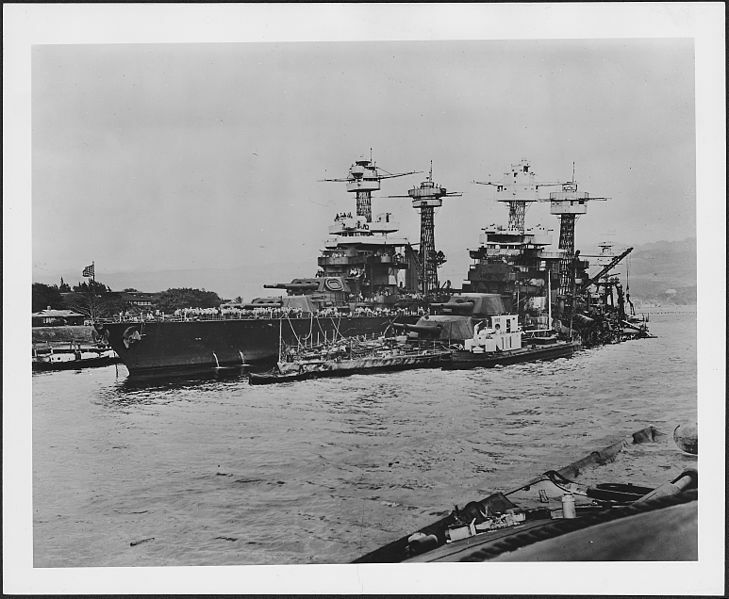 The attack inflicted great damage and casualties on the Pacific Fleet as well as the Army Air Forces based on Oahu. 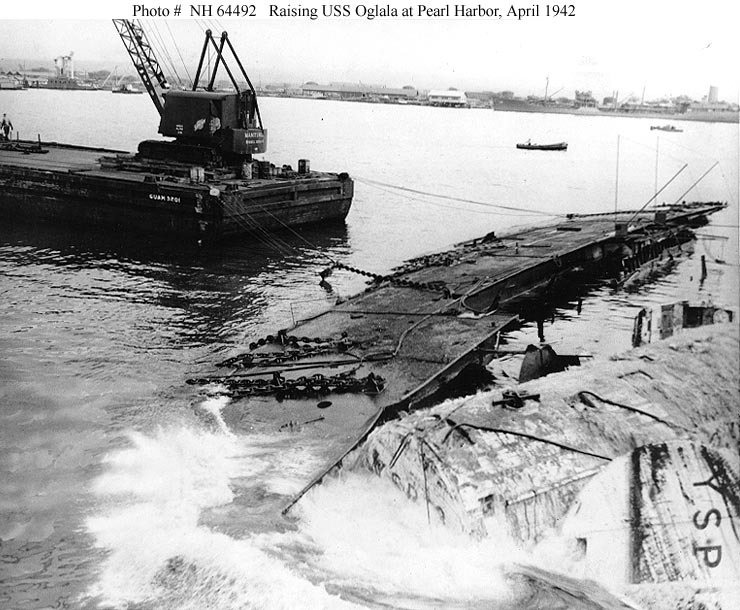 On that fateful Sunday the US Navy had 19 ships sunk or damaged. 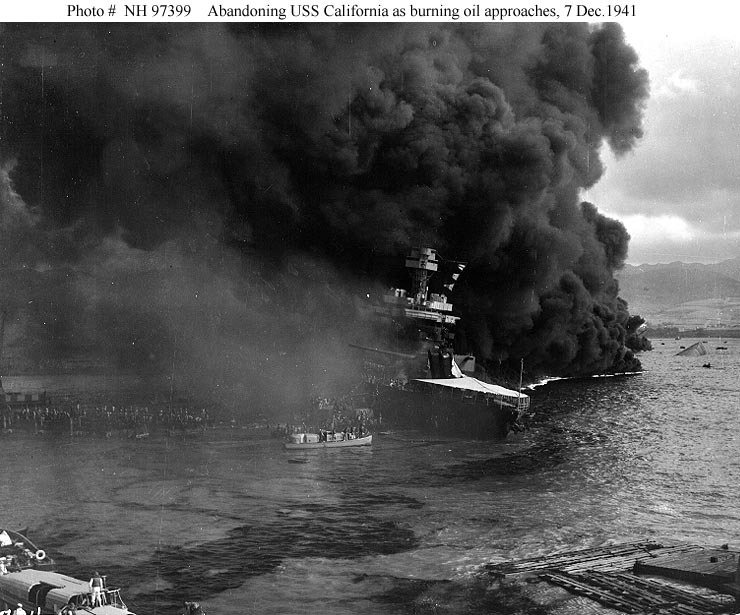 The Navy, Marine Corps and Army Air Corps lost 188 aircraft destroyed and another 159 damaged. 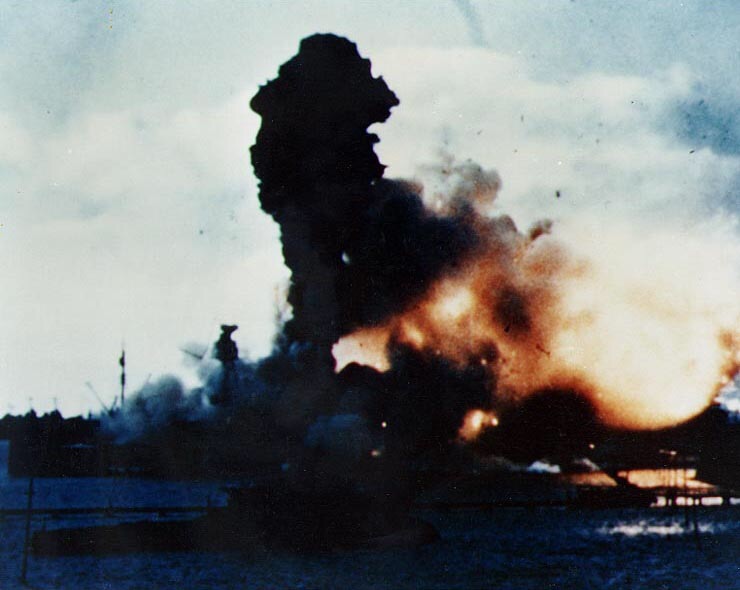 2402 American Sailors, Marines and Soldiers, including members of the Army Air Corps lost their lives and another 1247 were wounded. 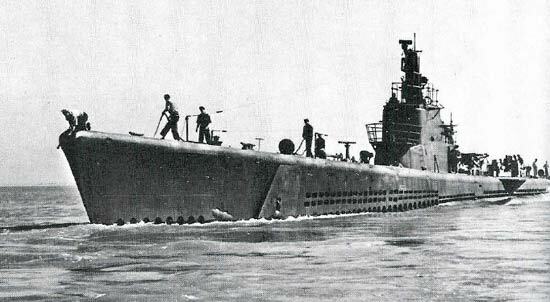 It was a day where men, suddenly shaken from their peacetime routine by bombs, bullets and torpedoes conducted themselves in in an extraordinary manner. 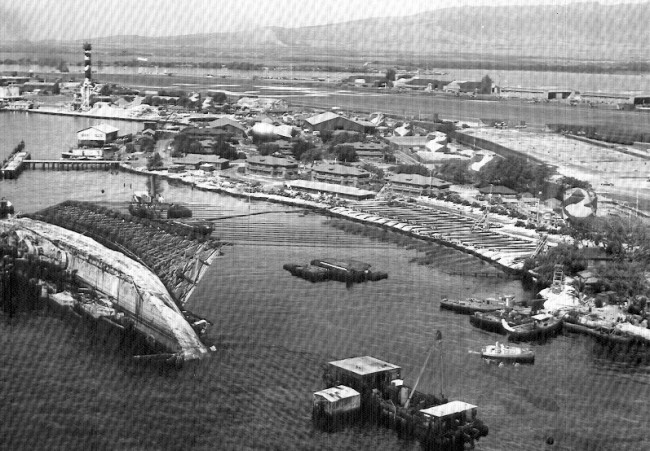 When the last Japanese aircraft turned away the previously placid waters of Pearl Harbor were littered with wrecked and sunken ships, blazing fires and the bodies of sailors and Marines. 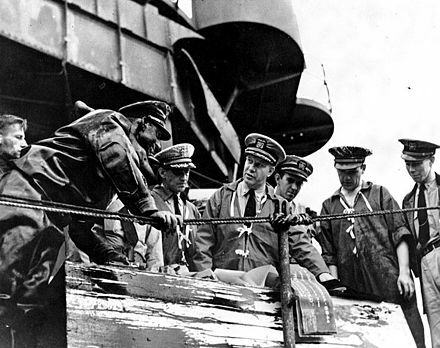 Desperate rescue efforts were already underway even as undamaged ships sortied to attempt to find and engage the Japanese fleet. 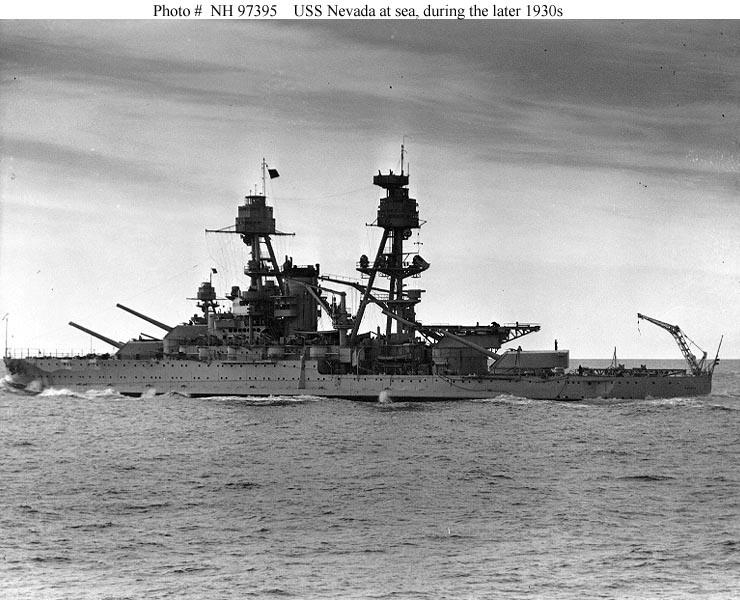 The next day President Franklin Delano Roosevelt asked the Congress for a Declaration of War.His speech, immortalized in its opening words galvanized the nation. 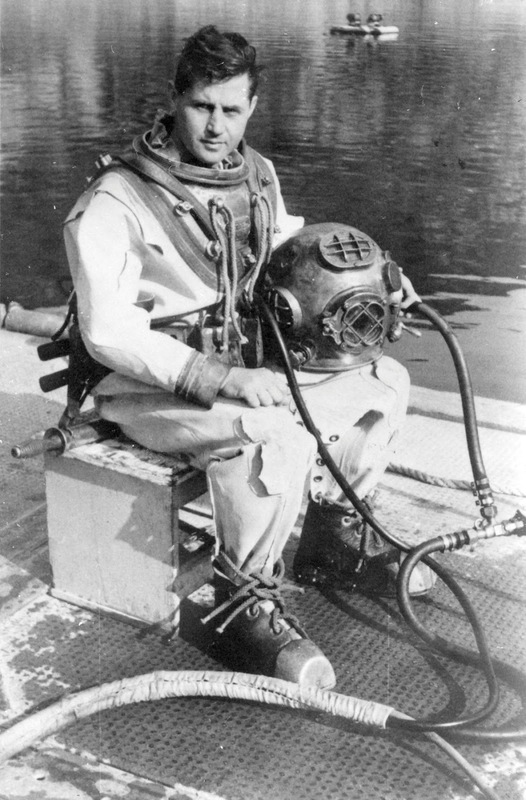 It was also a day where heroism was acknowledged. 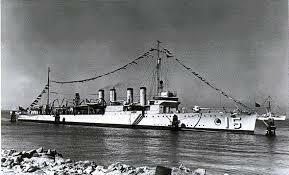 In the days and months following many Sailors, Soldiers and Marines ware awarded for their heroism, posthumously. 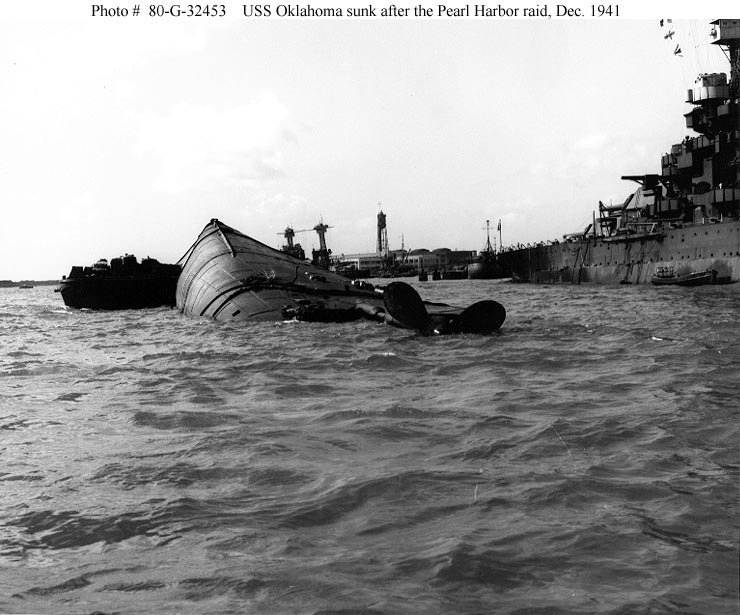 16 Congressional Medals of Honor were awarded, 15 at Pearl Harbor and one at Midway Island which was attacked the same day. 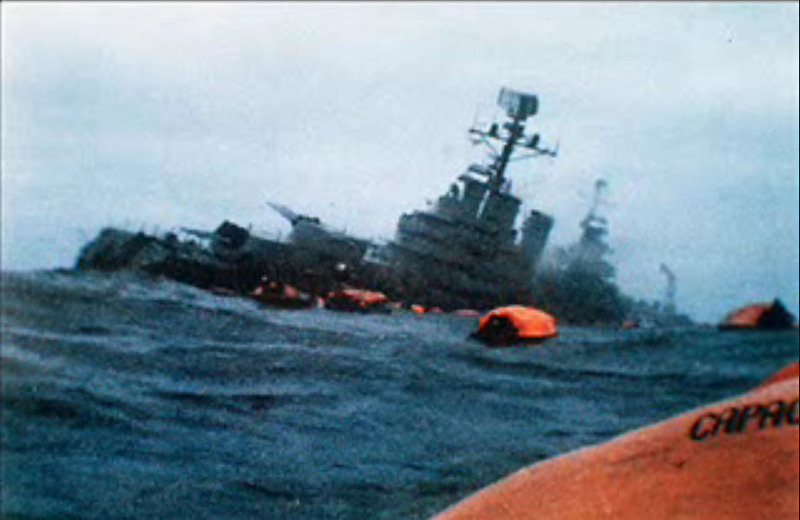 Of those 10 were to men killed in action. 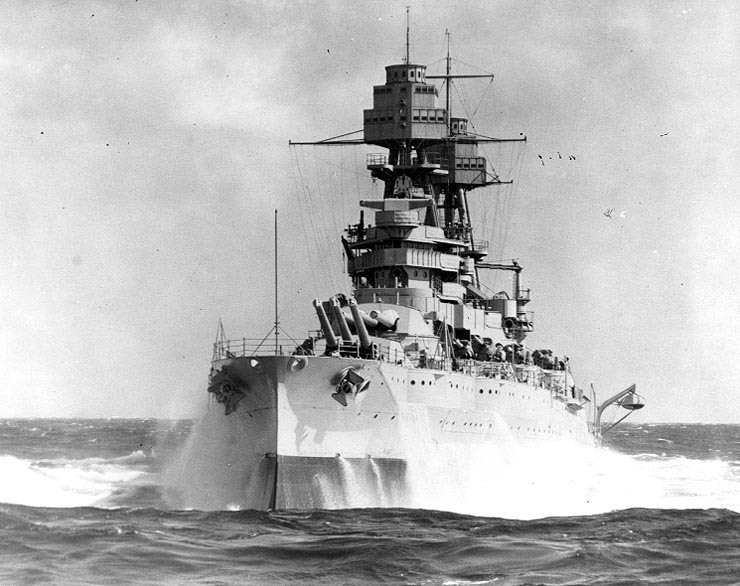 There were 51 awards of the Navy Cross, four Silver Stars and three wards of the Navy and Marine Corps Medal. 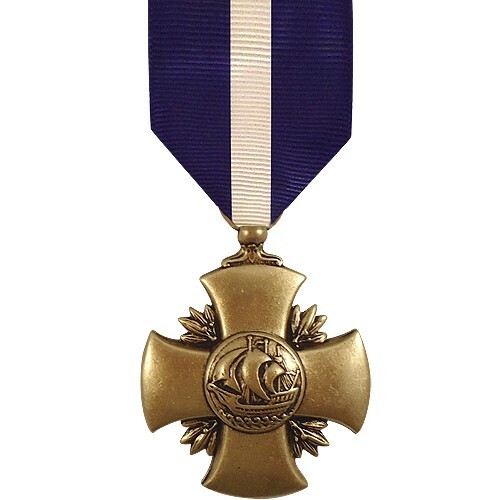 One of the Navy Cross awards was upgraded to the Medal of Honor. 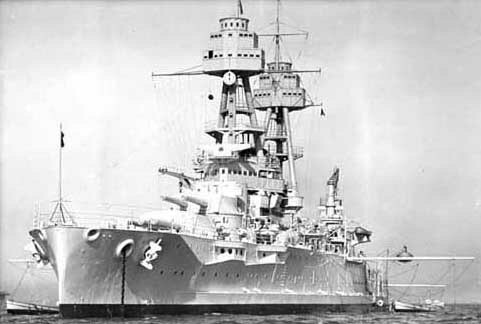 The ranks of the awardees ranged from the Commander of Battleship Division One Rear Admiral Isaac Kidd to killed on the bridge of his flagship the USS Arizona to Seaman First Class James Ward who died on the USS Oklahoma. 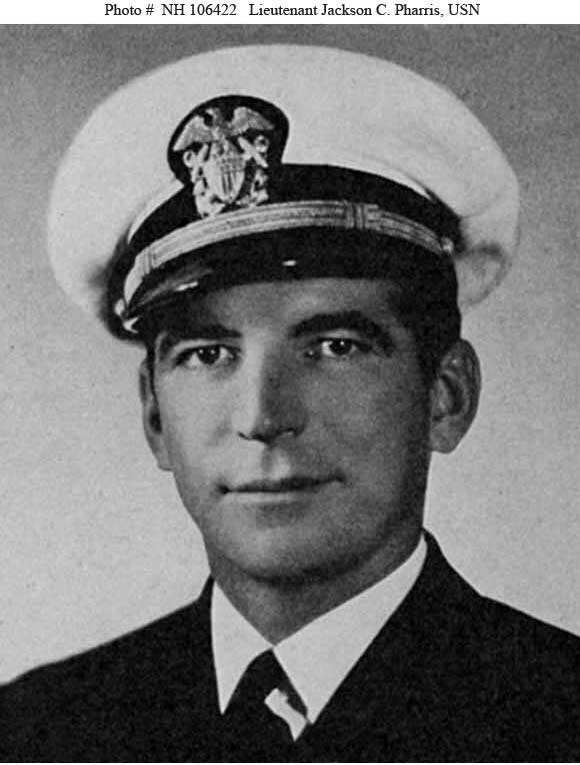 Kidd’s body was never found, his Naval Academy ring was found fused to a bulkhead on the destroyed bridge of the Arizona. 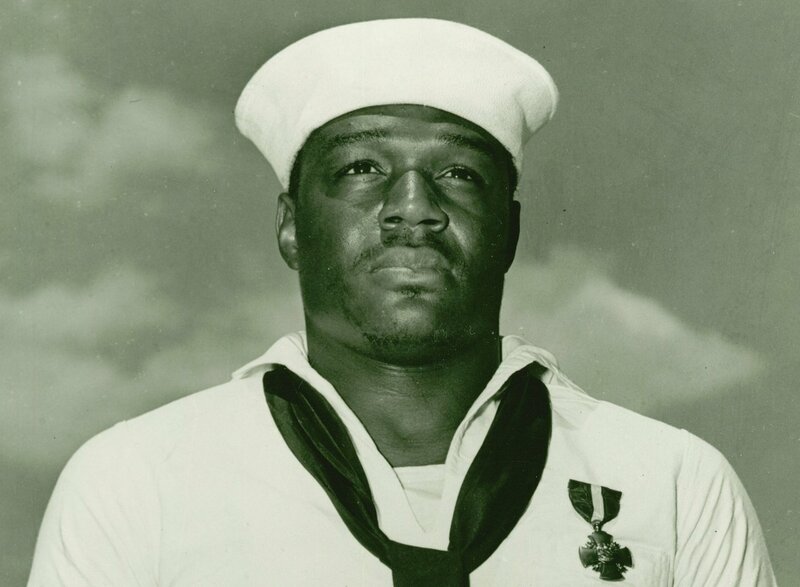 One of the Navy Crosses was awarded to Mess Attendant First Class Doris “Dorie” Miller. 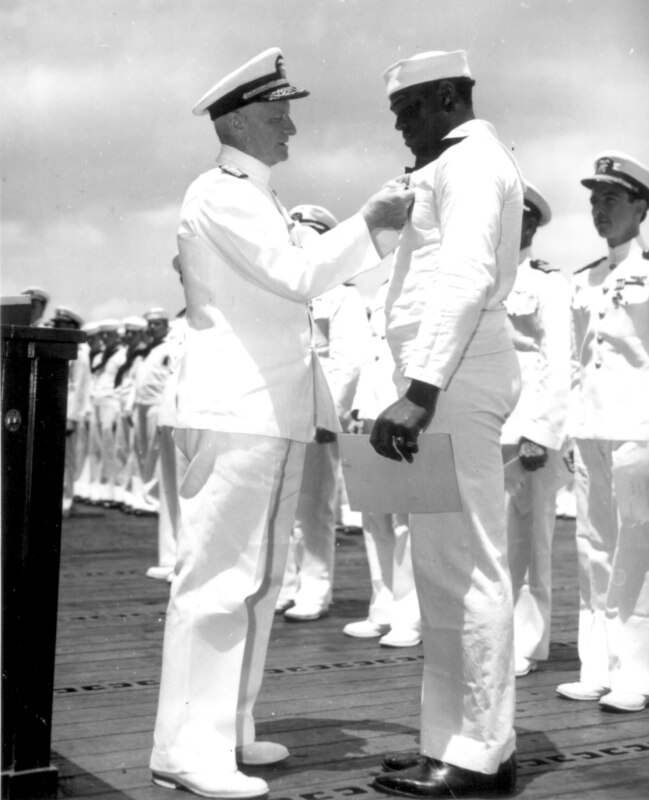 Miller was the only African American to win such an award that day. 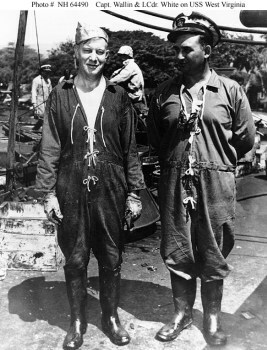 Miller who was assigned to the USS West Virginia received the award from Admiral Chester Nimitz for his efforts to assist his mortally wounded Commanding Officer, Captain Mervyn Bennion and manning a .50 caliber machine gun on his ship, possibly shooting down a Japanese aircraft. 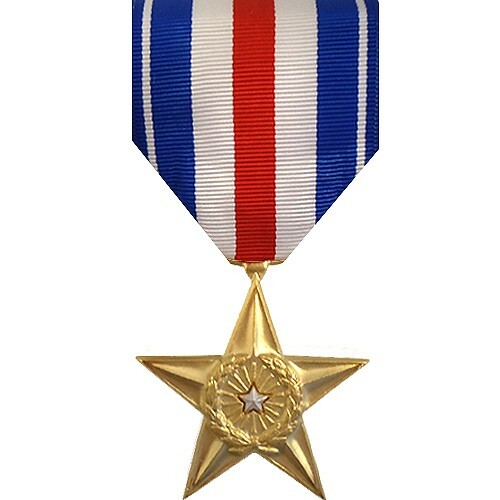 For distinguished conduct in action, outstanding heroism and utter disregard of his own safety, above and beyond the call of duty, as commanding officer of the U.S.S. 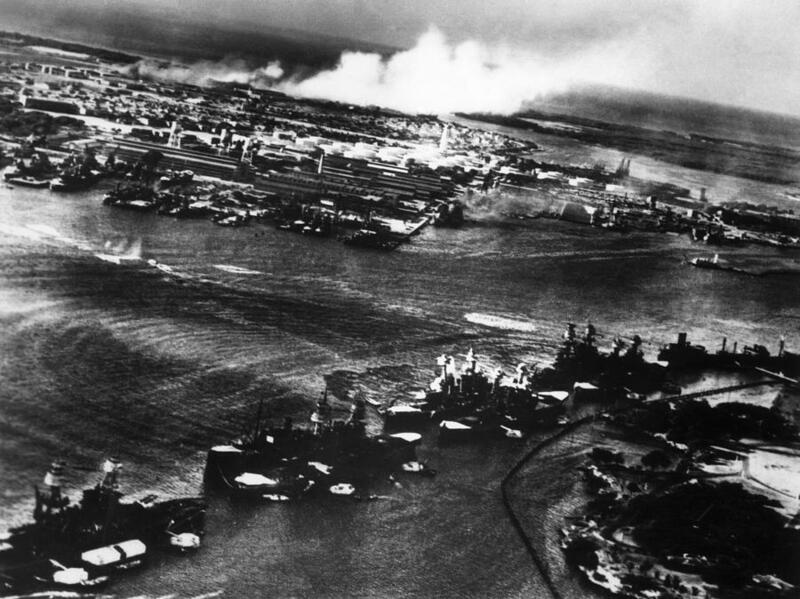 Vestal, during the attack on the Fleet in Pearl Harbor, Territory of Hawaii, by enemy Japanese forces on 7 December 1941. 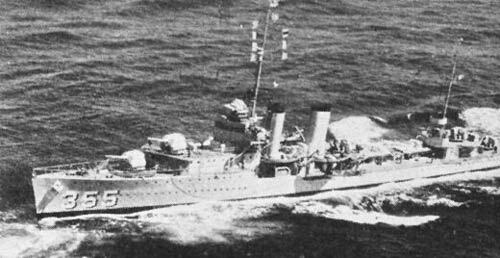 Comdr. 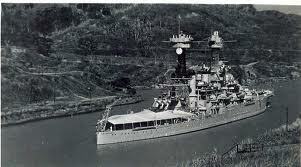 Young proceeded to the bridge and later took personal command of the 3-inch antiaircraft gun. 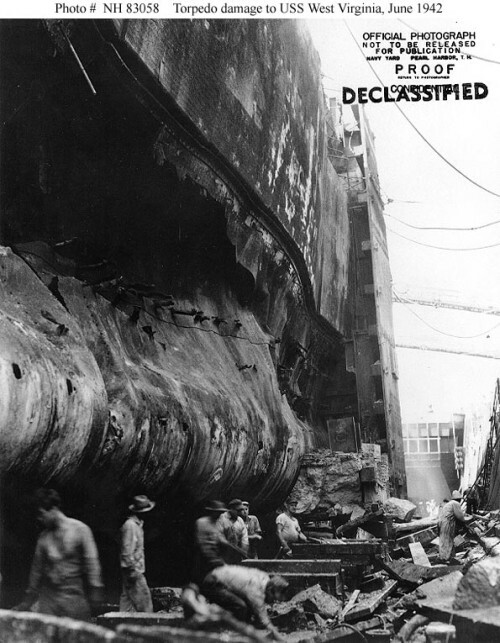 When blown overboard by the blast of the forward magazine explosion of the U.S.S. 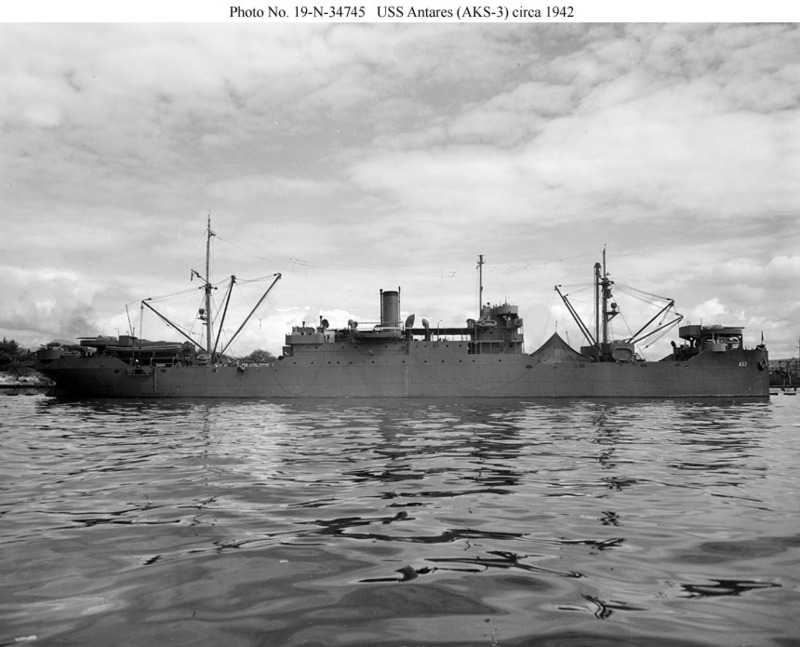 Arizona, to which the U.S.S. 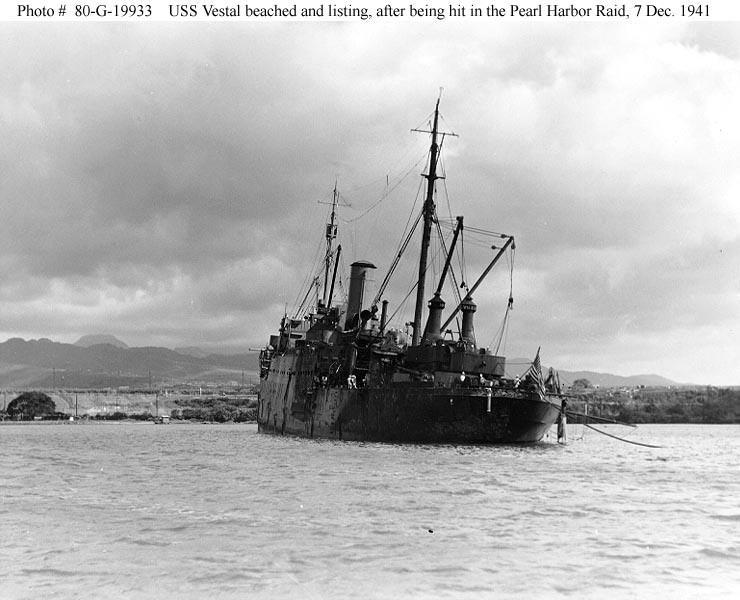 Vestal was moored, he swam back to his ship. 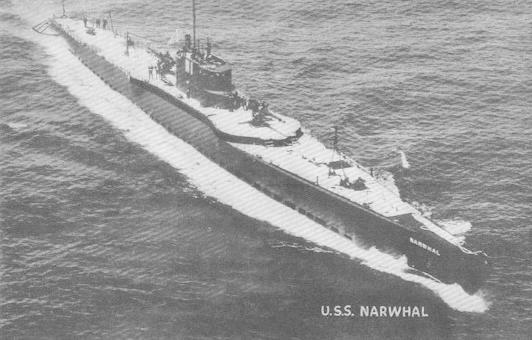 The entire forward part of the U.S.S. 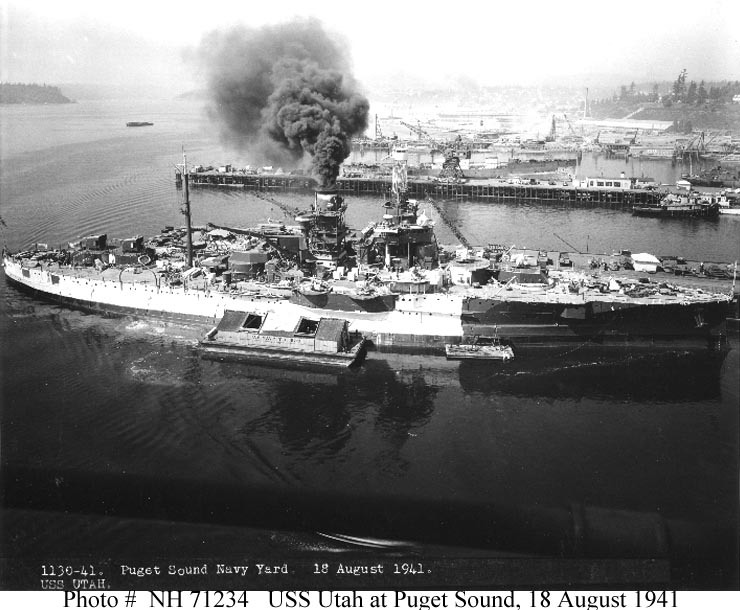 Arizona was a blazing inferno with oil afire on the water between the 2 ships; as a result of several bomb hits, the U.S.S. Vestal was afire in several places, was settling and taking on a list. 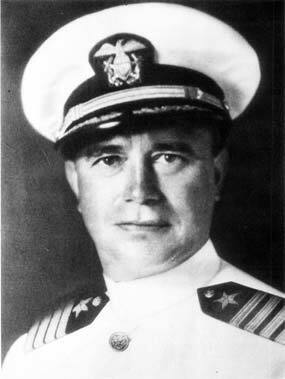 Despite severe enemy bombing and strafing at the time, and his shocking experience of having been blown overboard, Comdr. 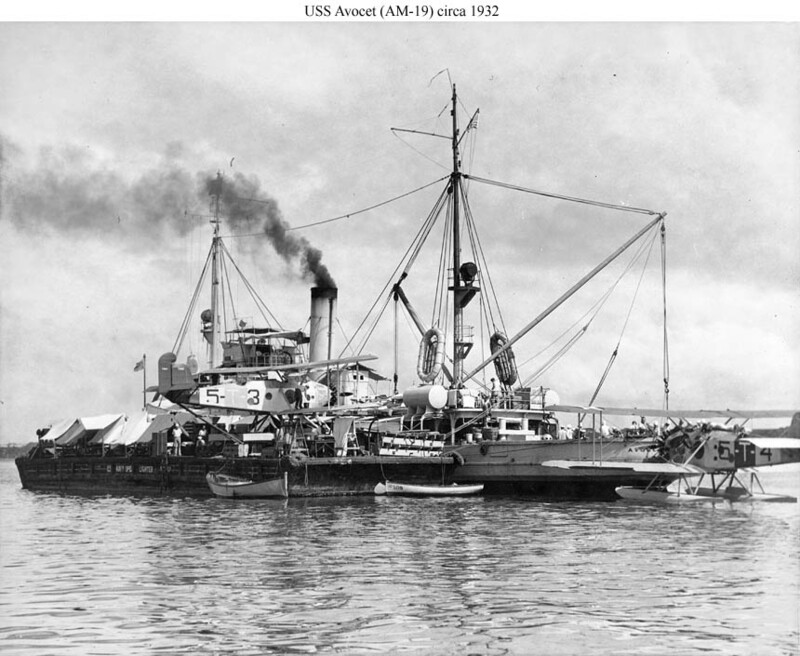 Young, with extreme coolness and calmness, moved his ship to an anchorage distant from the U.S.S. 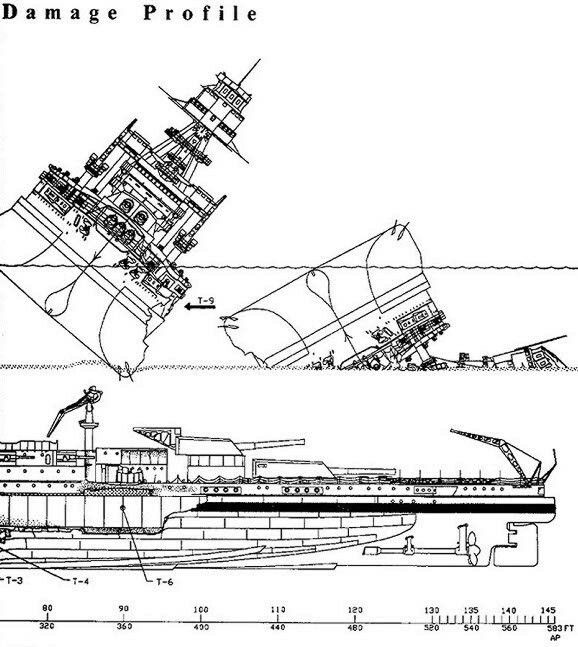 Arizona, and subsequently beached the U.S.S. 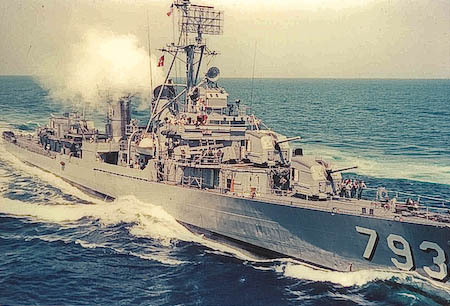 Vestal upon determining that such action was required to save his ship. 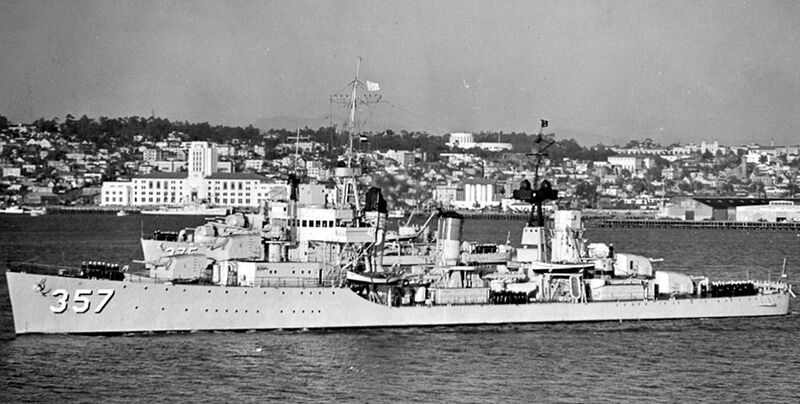 The Fletcher Class destroyer named after Captain Young, the USS Cassin Young DD-793 is now a museum ship in Boston Massachusetts. 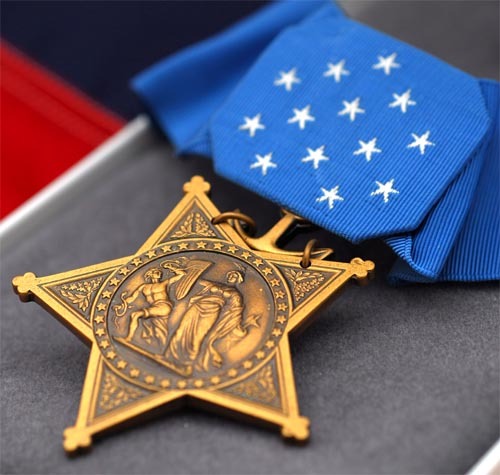 The individual bravery of these men was remarkable and many more did equally heroic things but for whatever reason were not recognized. 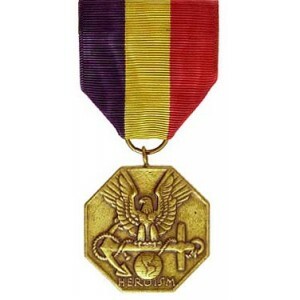 For conspicuous gallantry and intrepidity at the risk of his life above and beyond the call of duty while attached to the U.S.S. 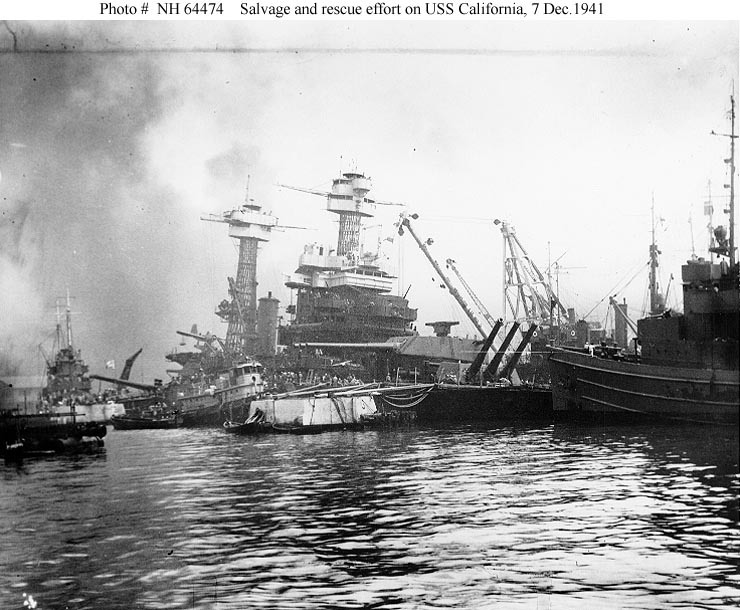 California during the surprise enemy Japanese aerial attack on Pearl Harbor, Territory of Hawaii, 7 December 1941. 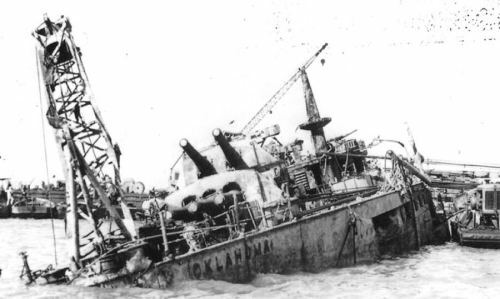 In charge of the ordnance repair party on the third deck when the first Japanese torpedo struck almost directly under his station, Lt. (then Gunner) Pharris was stunned and severely injured by the concussion which hurled him to the overhead and back to the deck. 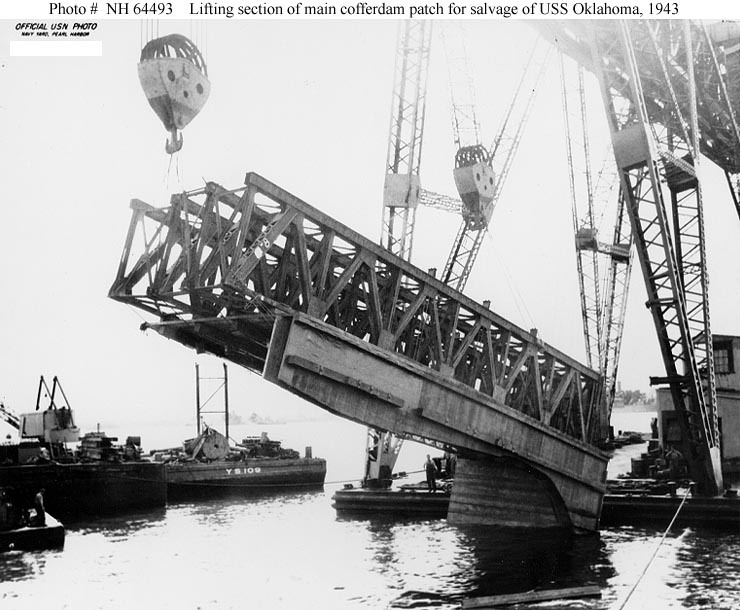 Quickly recovering, he acted on his own initiative to set up a hand-supply ammunition train for the antiaircraft guns. 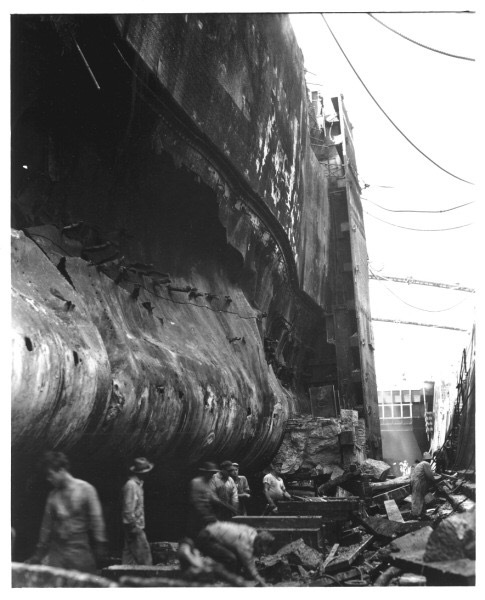 With water and oil rushing in where the port bulkhead had been torn up from the deck, with many of the remaining crewmembers overcome by oil fumes, and the ship without power and listing heavily to port as a result of a second torpedo hit, Lt. Pharris ordered the shipfitters to counterflood. 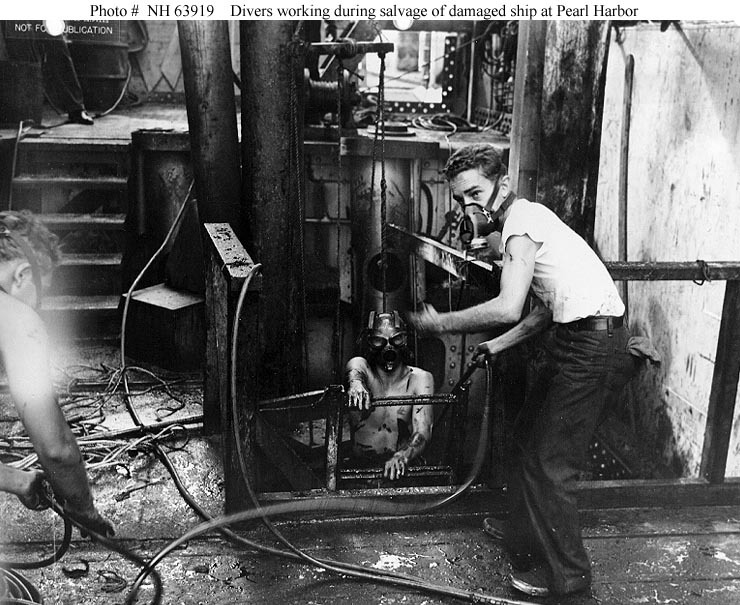 Twice rendered unconscious by the nauseous fumes and handicapped by his painful injuries, he persisted in his desperate efforts to speed up the supply of ammunition and at the same time repeatedly risked his life to enter flooding compartments and drag to safety unconscious shipmates who were gradually being submerged in oil. 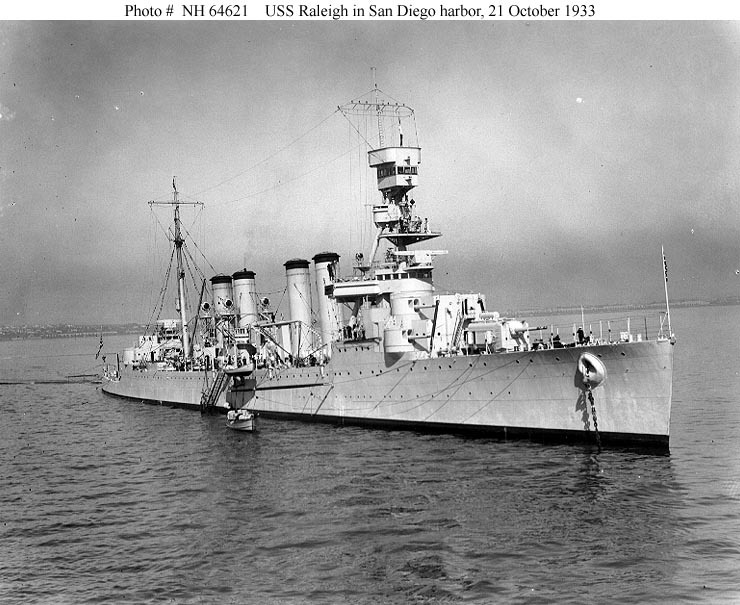 By his inspiring leadership, his valiant efforts and his extreme loyalty to his ship and her crew, he saved many of his shipmates from death and was largely responsible for keeping the California in action during the attack. 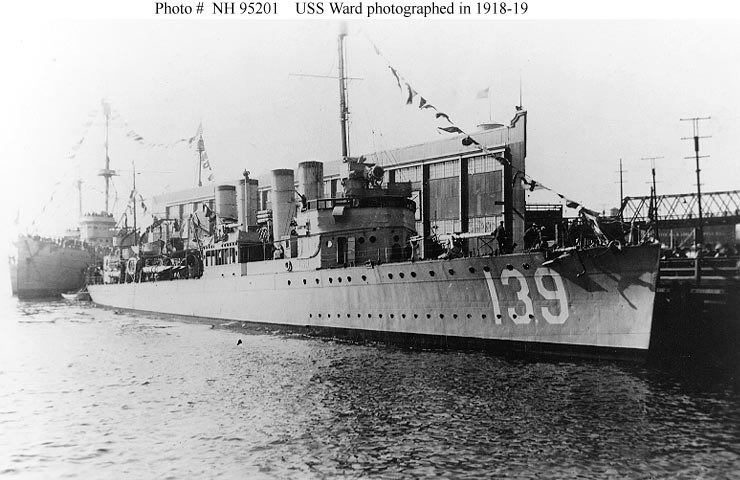 His heroic conduct throughout this first eventful engagement of World War 11 reflects the highest credit upon Lt. Pharris and enhances the finest traditions of the U.S. 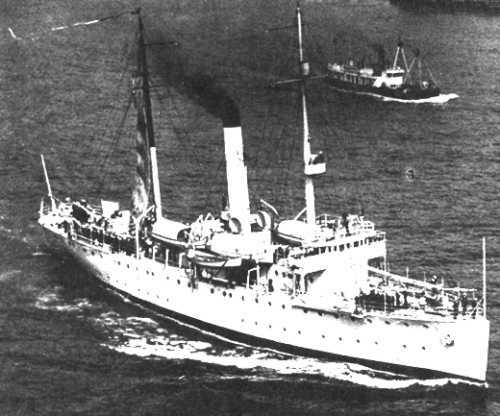 Naval Service. 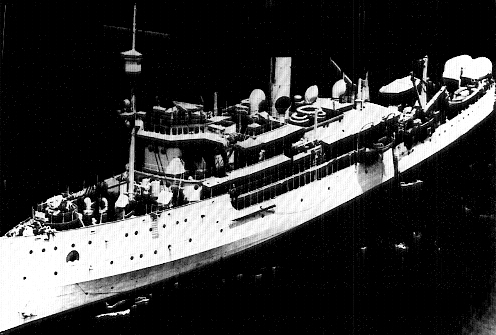 There were two chaplains who died that day, one of them, Lieutenant Junior Grade Aloysius Schmitt, the Catholic Chaplain of the USS Oklahoma sacrificed his life to push a sailor out of the ship as it rolled over. 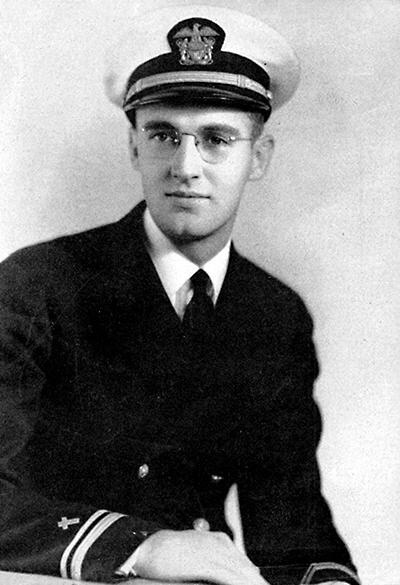 He was posthumously awarded the Navy and Marine Corps Medal. His remains were recently identified and returned to his hometown just a few weeks ago. 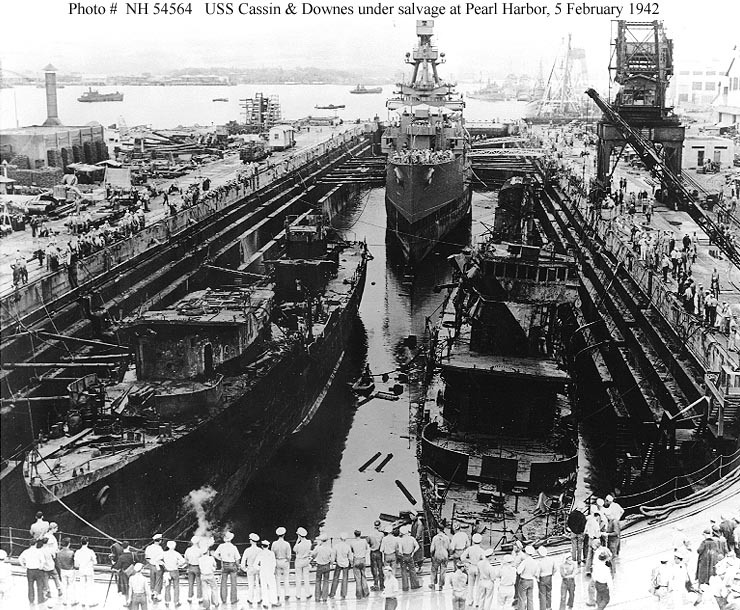 Note: The Awards listed are also complied at the website http://pearlharbor.org That site also has one of the most extensive searchable casualty listings available on the web. 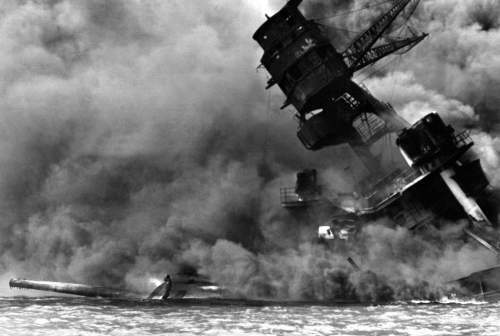 As we remember the attack on Pearl Harbor, or for that matter any battle we cannot reduce them to the number of ships, aircraft, tanks or equipment lost. Likewise when we talk the raw numbers of casualties the temptation is to treat them as impersonal statistics. However behind each of those numbers is a name, a man or woman with a life, family and friends who died in the service of their country. We must never forget that they are not just names. 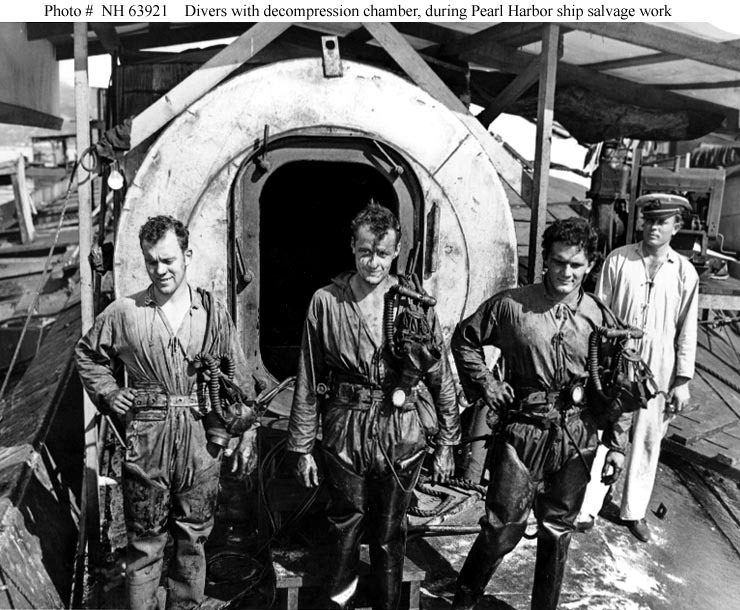 The same is true today the of men and women who serve, most who will remain unknown to most Americans.